On Sept. 11, 2001 many of us woke up with not much on our minds except what our plans were for that day or what we would eat for breakfast, yet no one knew that the country would forever be changed. In the coming weeks, months and years—it’s hard to believe it’s been 11 years since the attacks on the World Trade Center, the Pentagon and the plane that went down in Pennsylvania. The weeks, months and years to come have proven a difference in the way people think, interact with one another, and view America as a country. For many of us, fears of further attacks turned into sadness, sadness turned into anger and anger turned into a desire for revenge. Regardless, of the feelings people hold for those who committed the attacks, one thing is for sure, America became a closer nation on that tragic day. A lot of Americans learned the true meaning behind the word: freedom. The most important thing to remember today and forever is to honor those who gave their lives to uphold that meaning. 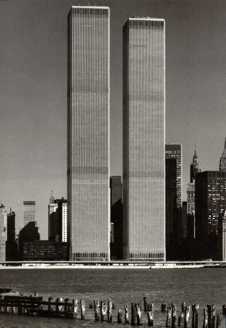 We should honor and remember not only the victims, but the brave men and women of the New York City emergency services who risked and gave their lives to help save the many innocent people that occupied the buildings and planes that day. To wonder where those people would be today is a grandiose task that fills the mind with imaginative thoughts. In the end, the attacks were a lesson in strength, courage, and dedication. Many share the sentiment that it felt great to hear that Osama bin Laden had been brought to justice. On 9/11, we remember the victims for the freedom they gave us. We should take a moment of silence. Written in collaboration with Wendy Aguilar on behalf of the Express editorial board. This entry was posted in Editorial, Sac City Express (SCC) and tagged 9/11, City College, editorial board, memorial, New York City, Osama bin Laden, remember, sacramento, Sept. 11, Wendy Aguilar. Bookmark the permalink.